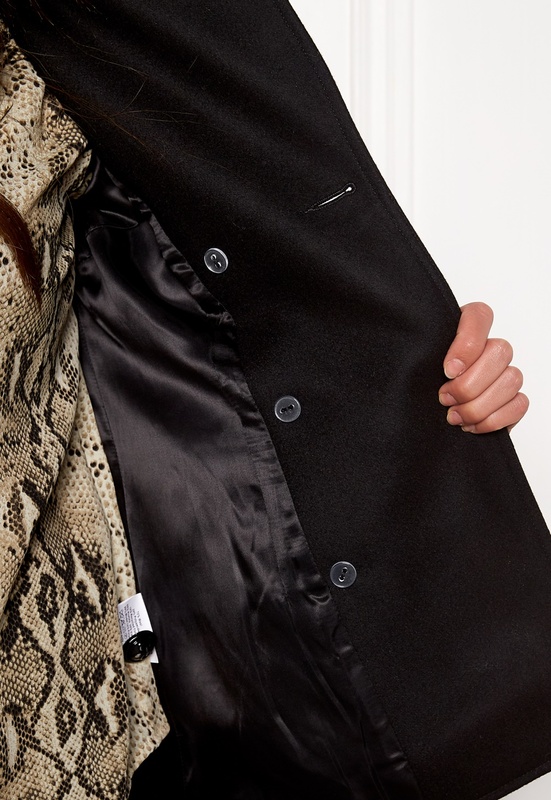 Elegant coat from IDA SJÖSTEDT. The coat is made from a warm, comfortable wool mix, with lovely faux fur details. - Nonstretch, woven quality - Button closure on front - Lined - Large faux fur collar (non-detachable) - Faux fur cuffs (non-detachable) - Two front pockets - Opening at back Back length from shoulder 69 cm, bust 94 cm, sleeve length from shoulder seam 62 cm in size 36. The model is 170 cm tall and wears a size 36. Dry clean only.